Promoters – Please contact us at info [at] SoCalCycling.com directly for more info on how to have your event listed. The Schotterstraße – Epic Gravel Series are self-supported rides and every ride has the capability of being cut down in distance and elevation. Regardless these rides are for advanced riders and you will be in remote areas without access to water, food or phone. You don’t have to be a mountain bike racer to love OTH. We race Tuesday Nights 530-7pm. It’s the Party that happens to be a Bike Race. 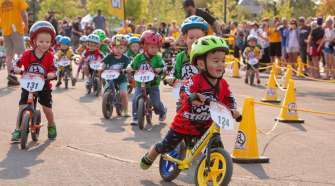 And since there’s a race for kids 6 years to 75 year old kids at heart you’re bound to find a sweet spot for your 2 wheeled passion. Dust off the bike and come join us. Everyone is welcome; most never leave! The energy is intoxicating. Each week we gather, to race bikes, and enjoy the summer together. Spectators take in the heart-pounding action trackside; and when it’s all over enjoy Wahoo’s Fish Taco’s a churro and a beer from Docent Brewing with your family. Over the Hump is designed to be a fun relaxed event for everyone. 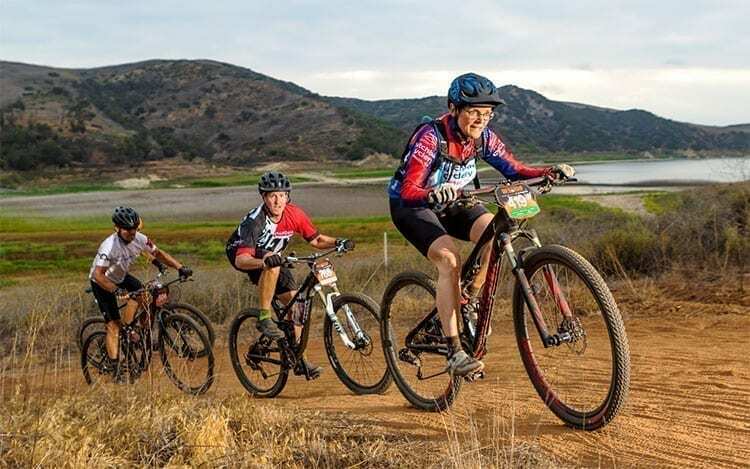 Our race course is designed to challenge all levels of riders and give you a great place to experience the fun and excitement of mountain bike racing. Every week. Juniors through Adults (kids at heart) race between 8 and 16 miles depending on their skill level. If you’ve ever wondered what Mountain Bike Racing is all about, this is your chance; just a couple minutes down the road after work. Disclaimer: This information is provided on this site strictly for informational purposes only. 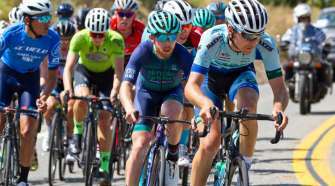 SoCalCycling.com is not affiliated with any training rides or events and is not responsible for any injuries or death to any rider or their bicycle for any reason. Ride at your own risk. Cycling carries a significant risk of personal injury or death. 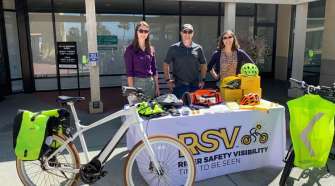 DO NOT participate in these rides or events unless you are knowledgeable about the risks involved, and are willing to assume personal responsibility for all risks associated with these activities. Please observe all applicable traffic laws, wear a helmet and conduct yourself in a safe and prudent manner while participating.